The following comes from the Daily Herald. To read the full article, click here. The Salt Lake Temple, which is an international symbol of the LDS Church, was unsurprisingly chosen as Utah’s most beautiful worship place. According to LDS Church information, it took 40 years to build the Salt Lake Temple, from 1853 to 1893, with walls nine feet thick at the base and six feet thick at the top. Its granite edifice is in a neo-Gothic style, and the gardens surrounding the building and Temple Square have won numerous awards and recognition. 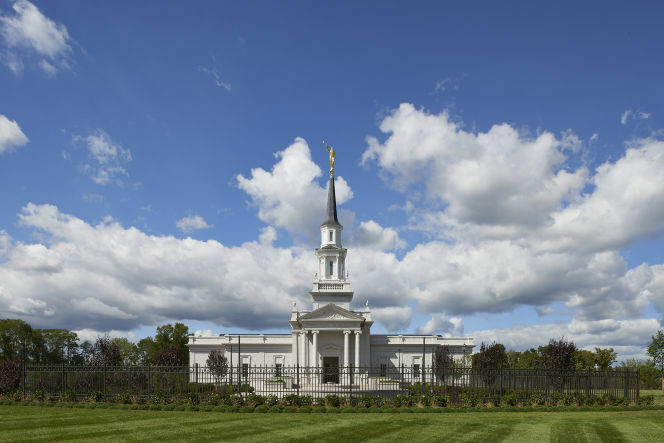 Architectural Digest also selected the Hartford Connecticut Temple as Connecticut’s most beautiful place of worship. Since the St. George tabernacle, it has taken many years to return Church architecture to the New England style. I agree that the Hartford, Connecticut temple is an architectural gem. Hopefully, future New England chapels will reflect the style of their surroundings.